There is life after divorce, and, and the quality of that life, your life, depends in large part on what you do right now, before your spouse even knows you’ve decided the marriage is doomed. I’m not talking about hiding assets, running up debt, or figuring out a way to squeeze every last cent out of your spouse. I’m talking about thinking ahead, creating a budget, and figuring out what you want your life to look like on the other side of divorce. What do you want you to look like and be like when you’re single again? Start gathering paperwork. You will need copies of checking account statements, savings account statements, retirement plans, credit card statements, brokerage account statements, payroll receipts, deeds, mortgage statements, and any other document that reflects your family’s financial status. Now that you have all this paperwork, take a good look at it and understand the family financial situation. Is there equity in the house? How much credit card debt is there? What is in those retirement plans? Get a copy of your credit score. Start paying down debt now. A good credit score will help you qualify for your own mortgage or refinance the mortgage on the family home if you want to stay in it. If you don’t have your own credit record, apply for a credit card now, in your own name, and start building a good credit score. Don’t accumulate large debt now, and discourage your spouse from doing so. Now is not the time to take out a home equity loan and build a new room. Open a checking account in your name. Start building a reserve to cover expenses that are going to come up. Make sure you can provide for yourself. Alimony is under attack in Florida. If you are currently employed, keep your job. If you don’t have a job, polish your resume and start looking. Or think about returning to school to get the skills you need to advance your career or enter the workforce. If you have children, start thinking about how you and your spouse are going to take care of them. With which parent will they spend most of their time? What school will they go to? Is your spouse going to want equal time with them? Which one of you has dedicated more of your time to the children? Start thinking about the possible ways to co-parent. It may seem impossibly complex, even impossible, to imagine a good world for your kids after the divorce. Do some research. Ask your friends how they do it. Talk to divorce professionals. Attorneys, mediators, psychologists, and parent coordinators have seen hundreds of families create parenting plans that work. They will have ideas for you to consider. Your children can be happy after a divorce. Create big, audacious, goals for yourself. What do you want to do with the rest of your life? Do you want to start running in 5k races? Participate in the next local triathlon? Start training. Do you want to go back to school? Figure out which school and how much it costs. The goals you set with your spouse are gone. Set some big, bad goals of your own, and work towards them. You are going to be sad during this process. Just accept it. However, there is no need to be sucked into a black hole of depression. Creating your own goals lets you see into the good future you are going to build. Talk to an attorney. 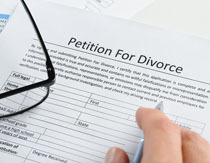 Get a sense of what the legal process is and how long it’s going to take to be divorced. 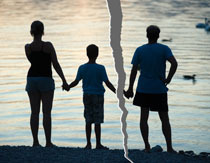 Get an understanding of Florida law on spousal support, the division of assets and liabilities, the creation of parenting plans, and child support.